The Patient Participation Group is a vital link between what our patients think and would like and what the practice can do to meet these wishes. We are keen to recruit new members and if you would be interested in joining please email graham.wynn@nhs.net with your name and contact details and someone will get in touch with you as quickly as possible. We appreciate that it can be difficult for patients to find the time in their busy lives to attend a meeting. 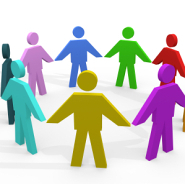 In collaboration with our Patient Participation Group we would like to engage a wider group of patients by creating a virtual group who are happy to be contacted a few times a year by email and contribute their opinion to specific issues.